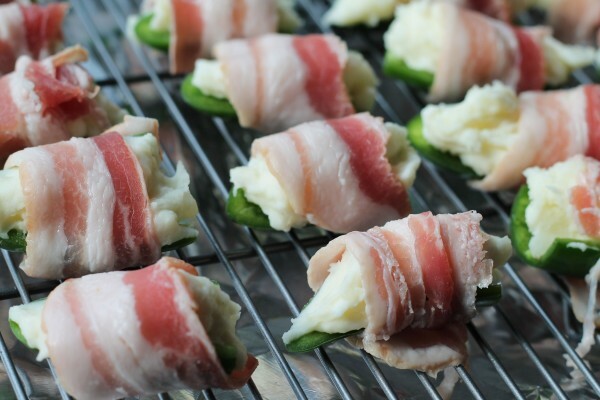 Jalapeños stuffed with mashed potatoes and wrapped with bacon – that is what you feed people who have been drinking all day. 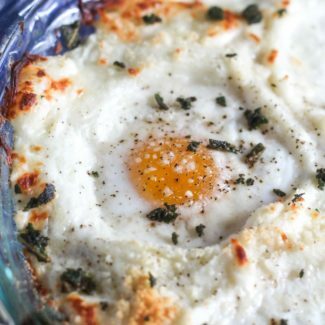 This recipe was invented on Saturday afternoon when I needed to bring an appetizer to a party to feed my friends who had been celebrating St. Patrick’s Day all day. 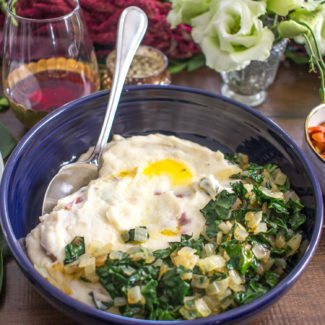 I figured an appetizer involving jalapeños and bacon would win over the crowd, and I thought that mashed potatoes would fill the jalapeños nicely. My friends ate these Mashed Potato Bacon Jalapeño Poppers up in no time, and said that they want to see this appetizer again soon. While this recipe only requires basic cooking skills, it is time consuming to slice and hallow out all the jalapeños. You could skip hallowing out the jalapeños if you want this appetizer to be extra spicy. Filling the jalapeños and wrapping them in bacon is really easy, grab a friend help out. 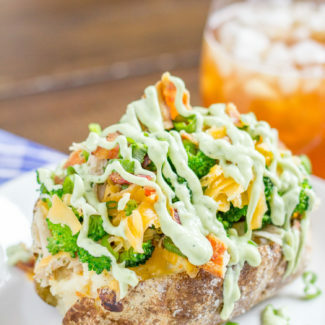 You could slice the jalapeños and make the mashed potatoes a day or two ahead of time. 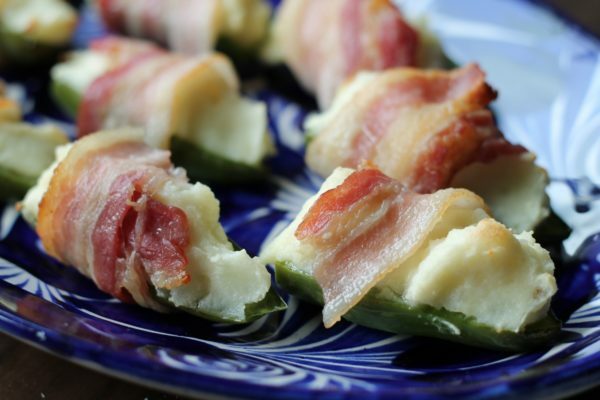 I did make some of these jalapeño poppers without the bacon – because I ran out. One friend preferred this version. I will say that the bacon helps to hold everything together. When you roast peppers, they get soft and flatten out a bit. Wrapping the pepper in bacon keeps the pepper sturdy and holds in the filling. Peel the potatoes and chop them into large cubes so they will cook more quickly. Place in a pot and cover will water. Boil the potatoes tender, this takes about 12 minutes. While the potatoes cook, cut the stems off the jalapeños, cut them in half, and then scoop out the seeds with a pairing knife. Be careful when slicing the jalapeños since your hands will absorb the spice, and it will be very painful if you rub your eyes or touch your lips. I use tongs to hold the jalapeños with my left half, and then use a pairing knife in my right hand to slice and remove the seeds. This works really well and keeps my hands clean. By now the potatoes should be soft. Drain the potatoes and return them to the pot. 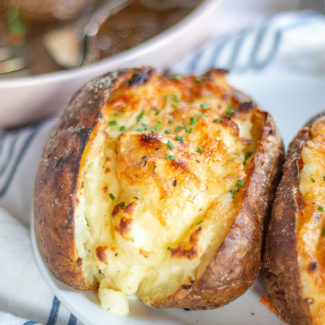 Add butter, cream cheese, sour cream, slice of Jarlsberg, salt, and pepper to the potatoes. Mix and mash either with a hand held mixer or a hand masher. Cut the slices of bacon in half. Assemble the jalapeño poppers. First a note on jalapeños, remember I said I am really careful when I remove the seeds? That is because the inside of the jalapeño is the spicy part. When you fill the jalapeños, hold them by the outside skin. One at a time, use a spoon to fill the jalapeños with mashed potato. 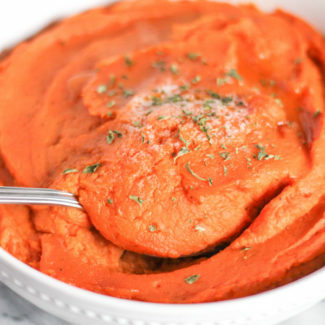 You can fill them until they are overflowing with mashed potato. Then wrap half a slice of bacon around the jalapeño. Finally place them on a baking sheet – covered with aluminum foil for easy cleanup. Continue until all the jalapeños are filled and wrapped. 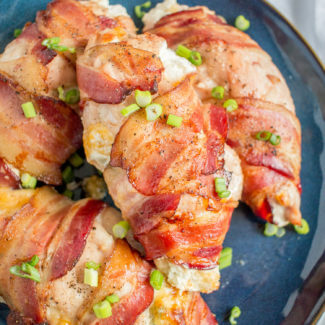 Bake for 15-20 minutes, until the bacon reaches the desired level of crispness. Serve immediately.